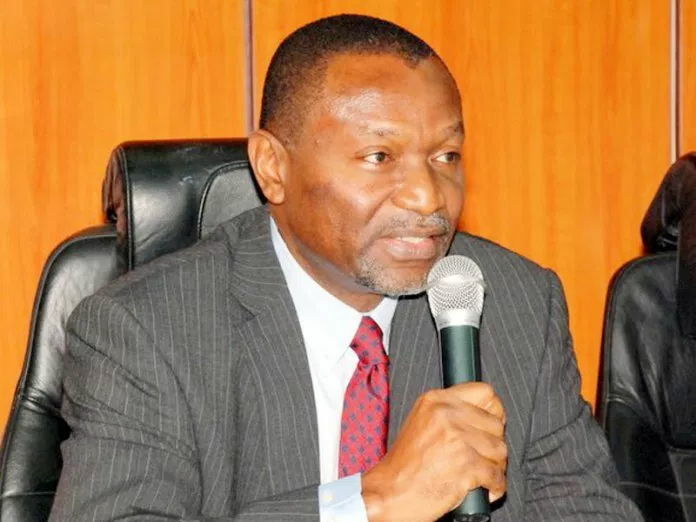 The Minister of Budget and National Planning, Senator Udoma Udo Udoma, disclosed yesterday that the Economic Recovery and Growth Plan (ERGP) will focus on mobilising private investment projects to meet its $245 billion investments and 15 million job creation targets by 2020. Udoma’s disclosure came as the Vice President, Prof. Yemi Osinbajo inaugurated the Core Working Groups of the ERGP Focus Labs with a charge to stakeholders to work collaboratively determined to get new investment commitments and assisting investors think through implementation. 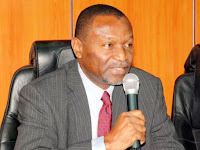 Speaking at the inauguration, which held at the Banquet Hall of the State House, Abuja, Udoma explained that although significant work had been done on the ERGP Implementation, and in the right direction, he said the pace and more work needed to be intensified to achieve targets. The minister pointed out that since it was not feasible to rely on government to fund required investments on its own due to current fiscal deficit, private investment was therefore key to catalysing growth. “We have therefore chosen to conduct Focus Labs in three selected areas to deliver quick and fast results on investments and job creation,” he said. According to Udoma, the labs are intended to achieve two main objectives, including new investments for critical projects and resolution of complex inter-agency problems that inhibit private sector investment. The ERGP Focus Labs, he explained, are not meant to replace existing sectoral roadmaps and plans, but meant to identify entry projects to act as showcase to bring back investor confidence to Nigeria. The ERGP, he added, will focus on mobilising private investment projects to meet the USD 245 billion investments and 15 million job creation targets by 2020. Giving an insight into how the labs are configured, the minister noted that for specified sectors like agriculture and transportation the lab will seek to increase private sector investments in select crops and products (agro-business) while investment along the transport corridors will target rail, roads and ports. For manufacturing and processing, the lab will look to increase private sector investments in selected manufacturing sub-sectors and products as well as the processing of selected solid minerals in Nigeria. For the power and gas sector, the lab, Udoma stated, will look to increase private sector investments in the power sector such as electricity generation across its value chain and energy mix as well as the gas industries including expansion of domestic market. Inaugurating the Core Working Groups of the ERGP Focus Labs, the Vice President, Prof. Yemi Osinbajo, charged the stakeholders to work collaboratively as a unit focused on getting new investment commitments and assisting investors think through implementation. He said the working group comprising senior public officers from the six pilot ministries and their agencies, has the rare privilege of contributing to the national assignment by providing sector expertise and working with the ERGP Implementation Unit to successfully plan the three initial labs and address inter-agency bottlenecks investors might bring to the labs. The ERGP focus labs, Osinbajo stated, are among the targeted initiatives of the present administration that drive the three pillars of its medium-term plan – restoring growth, building a competitive economy and investing in the people. He applauded the implementation of the ERGP less than one year after its launch by President Muhammadu Buhari, noting that it has resulted in early wins, from the targeted exit from recession in the second quarter of 2017 to improved stability in the fiscal and monetary markets. “As mentioned by the Minister of Budget and National Planning, most of our macro indices are trending upwards but a lot more needs to be done, and this administration will definitely not relent until we bring these headline improvements to visibly impact the majority of our citizenry,” he stated. Osinbajo said since the intent of the focus labs are primarily to drive new investments that create jobs for the people across the 36 states of the federation, all hands must be on deck to get the labs project right. He explained that the Central Steering Committee comprising nine cabinet ministers in Agriculture, Transport, Solid Minerals; Industry Trade and investment; Power Works and Housing; Petroleum Resources, Finance, Justice and Budget and National Planning were tasked with steering the labs and ensuring active collaboration with the private sector to remove inhibitions that may have impeded some of the priority projects that they want to invest in, but which have remained on the drawing board for a long time. In his remarks after the inauguration, the Minister of Industry, Trade and Investment, Dr Okey Enelamah, emphasised the need for commitment by all concerned to realise the objective of the project, pointing out that the challenge Nigeria often faces was not crafting good plans, but that of diligent implementation.